How does it support Athletes? Seven programmes are dedicated to Athletes with the aim to support them at every stage of their career. 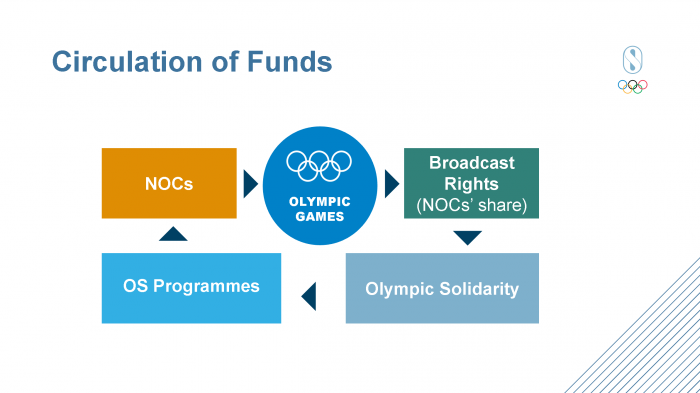 Thanks to the increase of the Olympic revenue over the years, Olympic Solidarity has been able to expand the programmes made available and developed its activities to better suit present-day capabilities. The total development and assistance budget for the 2017-2020 Olympic Solidarity plan amounts to USD 509,285,000 – a 16% increase from the previous plan. To know more about the Olympic Solidarity programmes and finances, you can visit their page.